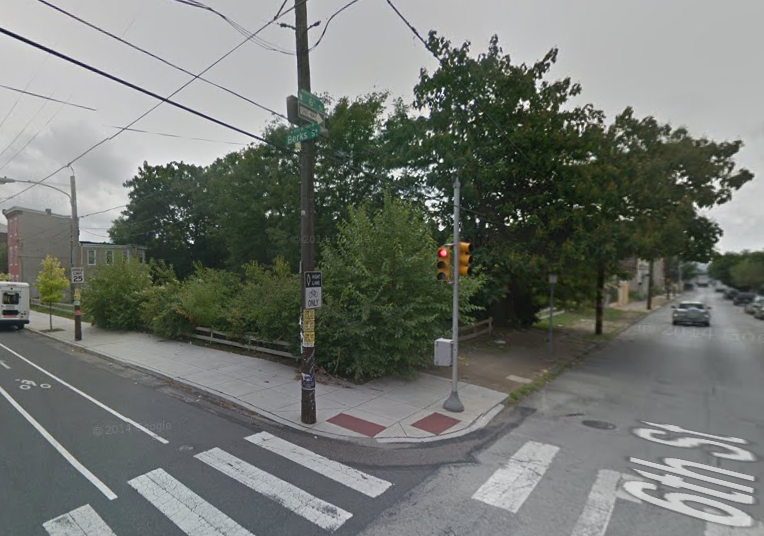 At 7th & Berks, we told you last week about plans for nine triplexes, ostensibly targeting Temple students. 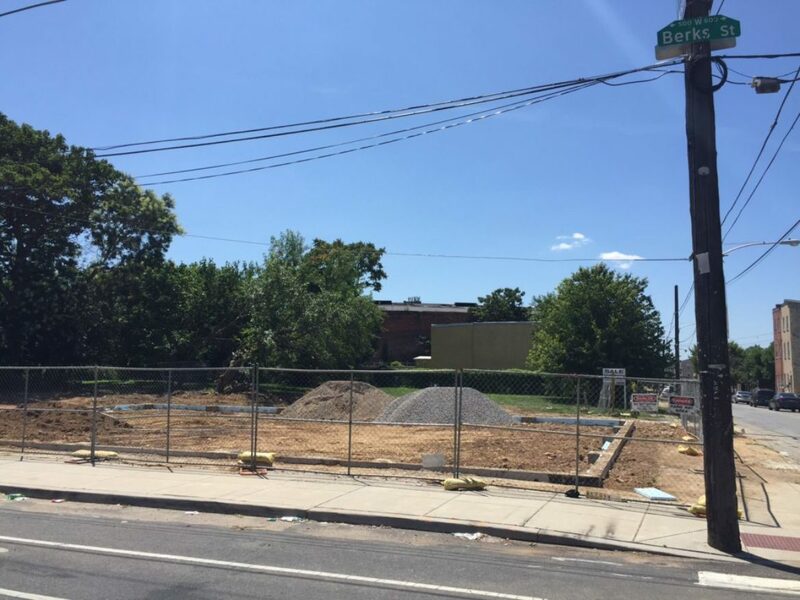 A commenter was kind enough to direct our attention one block to the east, to 6th & Berks, where a long-vacant lot is now home to a new foundation. Naturally, your first expectation here would be even more student housing. As we mentioned last week, the rail tracks that run between 9th and 10th Streets represent a barrier from Temple, but projects like Paseo Verde are potentially inspiring additional development to the east of the school. If, however, your first guess here is student housing, your guess would be totally wrong. No folks, this will be a mixed-use building, combining a home with an artist studio. And it's gonna look like nothing else in the area. The two story structure will be home and studio for artist John Dowell. Dowell, a longtime art professor at Temple, will settle into this property near the school and produce photography and prints. The shed-like structure will certainly stick out from the surrounding properties, but we honestly have no problem with that. We'll be sure to check back when construction is finished, and we'll give you the lowdown on exactly what this thing looks like in the "flesh." In the meantime, you can peruse the artist's work on his website. There are some pretty amazing cityscapes to be found, especially if you've got a fondness for Philadelphia.